Possibility to spend the night at Taipei airport (TPE), if open 24 hours. Services available, places to rest (free resting zones), or look for the list of nearby hotels and vip lounges..
Taipei airport is a good place to rest if you have a flight early in the morning or if your flight is delayed. There are plenty of comfortable seats and secluded spots. In addition, there are several things to do while you wait. Where to rest: The enclosure is relatively quiet at night. You can find numerous private nooks where to lay down, in addition to reclinable chairs next to the boarding gates. 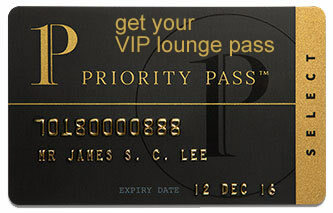 Another option (by paying or with a credit card providing the service) is to use one of the VIP lounges, with a couple of alternatives that open around the clock. SEE VIP LOUNGES As for accommodations, several options are available in the surroundings. Baggage: Left-luggage services only operate between 6:00 am and 11:30 pm. Eating and drinking: There are some coffee shops in both terminals that remain open during the night. Restrooms: Showers available in several locations throughout the terminals. Wi-Fi: The access is free. Other services available around the clock: Banks, currency exchange bureaus, ATMs, convenience stores, baby changing rooms, children's play areas. The Novotel Taipei Taoyuan International Airport (Tel +886 3398 0888) and the Backpackers Hostel Taoyuan Airport (Tel +886 978 777 988) are situated 5 minutes away from the airport. On the other hand, in the Arrivals Halls there are counters to make reservations with several hotels nearby. Beginning Hostel (Tel +886 972 727 832), City Suites Gateway Hotel (Tel +886 3385 3017), TY Motel (Tel +886 3393 5588), Hai Xiang Yuan Motel (Tel +886 3385 2810), Yun Jhih Hai Motel (Tel +886 3381 8888), Orchard Park Hotel (Tel +886 3385 1188), Freedom Design Hotel (Tel +886 3212 0001), Monarch Skyline Hotel (Tel +886 3212 1001).